If you are on this page, then you are ready to have some fun, R&R or, if you are a real fan, experience the glory of victory or the agony of defeat. Our website has only highlighted the 9 largest venues in Los Angeles as they are the most requested for limousine transportation: the Coliseum, Staples Center, Rose Bowl, Dodger Stadium, Hollywood Bowl, Dorothy Chandler Pavilion, Ahmanson Theater, the Walt Disney Concert Hall, and the Greek Theater. However, there are dozens of smaller venues in Los Angeles like the Wiltern Theater, and again numerous big venues just down the road in Orange County like Angel Stadium in Anaheim where the Major League Baseball team the Los Angeles Angels play, and the Honda Center where Barbara Streisand, Mariah Carey and Gloria Estefan have sung & the Anaheim Ducks of the NHL play all their home games. The Los Angeles Memorial Coliseum, known as "The Coliseum," is a large outdoor sports stadium located in the Exposition Park just southwest of downtown Los Angeles. The Coliseum is the home to the University of Southern California Trojans football team. It is the largest football stadium in the Pac-12 with a seating capacity of 93,607. 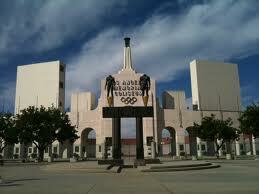 The Coliseum is the first stadium to have hosted the Olympic Games twice, in 1932 and 1984. It has also hosted Super Bowls and World Series. It was declared a National Historic Landmark on July 27, 1984, the day before the opening ceremony of the 1984 Summer Olympics. It has also hosted concerts some of the more famous bands in the world like The Rolling Stones. The Staples Center is a multi-purpose sports arena in Downtown Los Angeles, adjacent to the L.A. Live development, is the major sporting facility in Los Angeles with nearly 4,000,000 guests a year. The arena is home to the Los Angeles Lakers and the Los Angeles Clippers of the NBA, the Los Angeles Kings of the NHL and the Los Angeles Sparks of the WNBA, & therefore the host of multiple NBA & WNBA championship games. 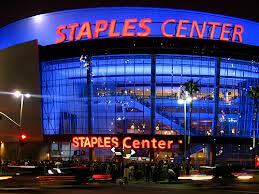 Staples Center is also host to over 250 events and concerts, having hosted such varied artist’s from Bruce Springsteen, Mariah Carey, Beyoncé, Taylor Swift to The Rolling Stones, as well as events like the Grammy’s, championship boxing matches, the Stanley Cup & NHL All Star Games. The Rose Bowl, a National Historic Landmark, is an outdoor stadium in Pasadena, California, 12 miles northeast of downtown Los Angeles. 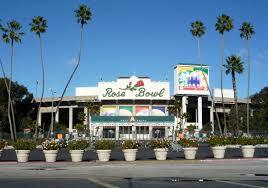 It is the home field of the UCLA Bruins football team and the home of the Rose Bowl game, held on New Year's Day. Beginning with the 2014-15 season, it will be a host of the semifinal games of the College Football Playoff. During the 1932 and 1984 Olympics it hosted soccer events, and is where the 1994 FIFA World Cup Final and the 1999 FIFA Women's World Cup Final were held. It has also hosted many varied concert venues such as U2, The Rolling Stones, Pink Floyd, Metallica, Guns and Roses and the Red Hot Chile Peppers. 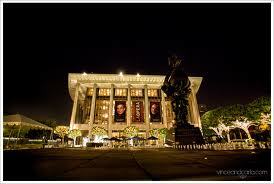 The Dorothy Chandler Pavilion is one of the halls in the Los Angeles Music Center. 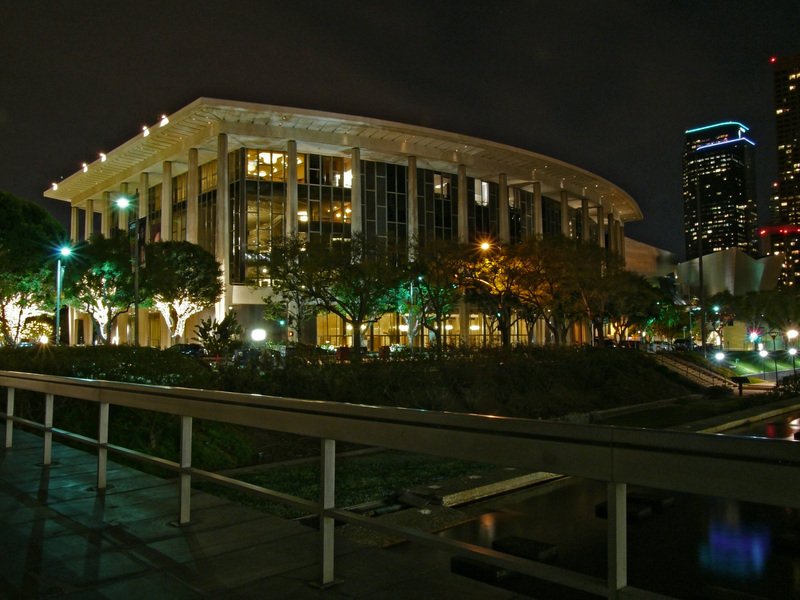 The Pavilion is home to the Los Angeles Opera. It has 3,197 seats spread over four tiers, with chandeliers, wide curving stairways and rich décor. The auditorium's sections are the Orchestra, Circle, Loge and Balcony. Notable performers who have performed here include Zubin Mehta and Plácido Domingo. The Hollywood Bowl is a 1920's amphitheater in the Hollywood area of Los Angeles used primarily for music performances. It is set against the backdrop of the Hollywood Hills and the famous Hollywood Sign. It is the home of the Hollywood Bowl Orchestra and the summer home of the Los Angeles Philharmonic. The list of notable performances here is too long to list and certainly unsurpassed in LA, but include not only rock & roll bands like the Beatles and the Rolling Stones to Pavoritti; Mikhail Baryshnikov to Fred Astaire; Nat "King" Cole, Ella Fitzgerald, Billie Holiday, Alicia Keys, to Carrie Underwood, Elton John, Al Jolson, and Judy Garland; not to mention a list of famous conductors over the past seven decades. In other words, it is a must! The Ahmanson has the largest theatrical season-ticket subscription base in Los Angeles. The Ahmanson Theatre has presents a wide variety of dramas, musicals, comedies, and revivals of the classics, including six world premieres of plays. Its year-round season begins in early fall and lasts through late summer. 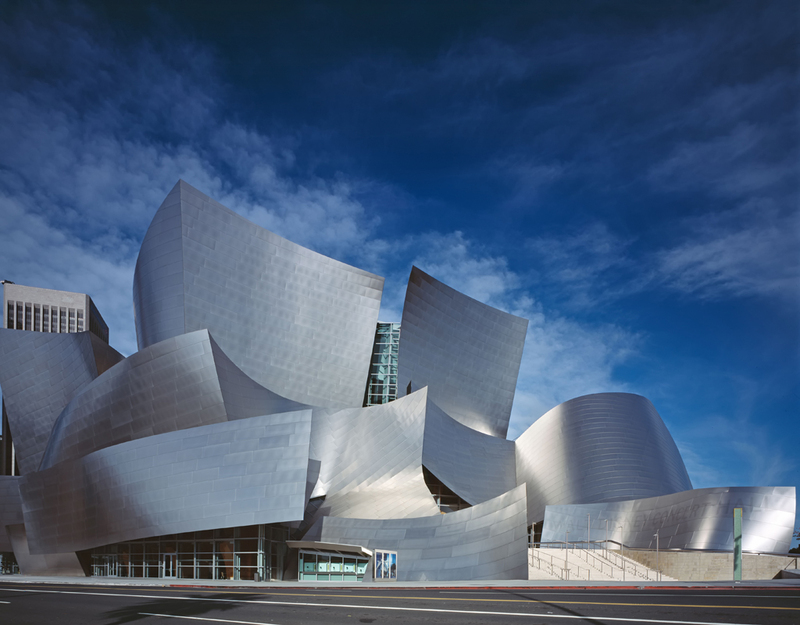 The Walt Disney Concert Hall, perhaps the most stunning architectural concept in Los Angeles, seats 2,265 people and serves among other purposes as the home of the Los Angeles Philharmonic orchestra and the Los Angeles Master Chorale. The venues hosted here are as diverse as the architecture, from classical symphonies to jazz to worldly musicians, so plan ahead. 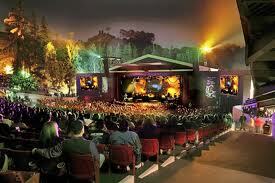 The Greek Theatre, nicknamed "The Greek", is a 5,870-seat greek-style amphitheater located in Griffith Park. 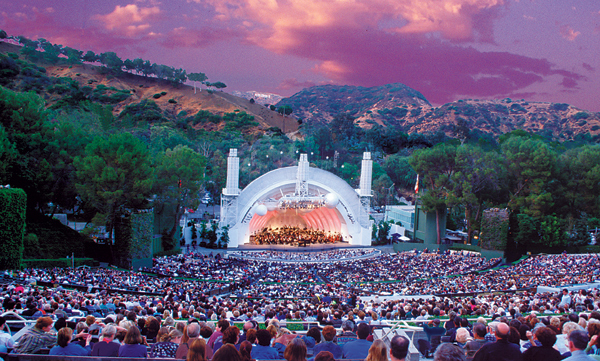 At 1/3 the capacity of the Hollywood Bowl with just over 5,000 seats, it has even more atmosphere than the Hollywood Bowl as it offers a more personal experience with the performers. On Rolling Stone Magazines top 10 List of best amphitheaters in the US, it has hosted such famous artists as Neil Young, Santana, Grover Washington Jr., the Pretenders, & more recently Fun & Mumford & Sons in addition to a list of greats performers too long to mention here. Only open during the warm months of May through November, it has for years been a venue where artists like to the record live albums & videos. The Forum is back as a concert venue & the acoustics apparently have been vastly improved. Along with Madison Square Garden, it was one of the most well-known indoor sports venues in the U.S., during its time operating as a major venue. 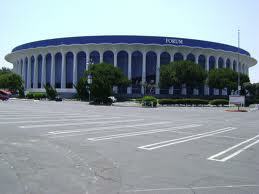 The Forum achieved its greatest fame as the home of the NBA's Los Angeles Lakers and the NHL's Los Angeles Kings, from 1967 to 1999, before the teams moved to the new Staples Center. The Forum was the site of the 1972 and 1983 NBA All-Star Games, the 1981 NHL All-Star Game, and Basketball at the 1984 Summer Olympics, not to mention, Kobe Bryant, Magic Johnson, Kareem Abdul Jabbar, James Worthy, Jerry West, Gail Goodrich and Elgin Baylor. 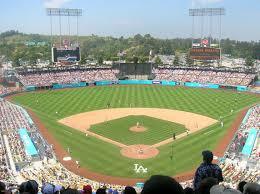 Dodger Stadium, aka Chavez Ravine, is located just a mile or so northwest of Downtown Los Angeles. It has been the home ballpark of the Los Angeles Dodgers team since 1962 and lays claim to being the largest capacity stadium in Major League Baseball with a seating capacity of 56,000. If the names of Jackie Robinson, Sandy Koufax, Don Drysdale, Don Sutton, Fernando Valenzuela, and Orel Hershiser don’t ring a bell, perhaps the Three Tenors: Plácido Domingo, José Carreras and Luciano Pavarotti will, as they memorably performed there in the mid-90’s.